You just can’t resist all these lounge favorites! 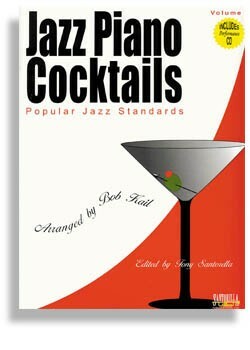 Jazz Piano Cocktails Volume 1 arranged by Bob Kail is where this entire series began. 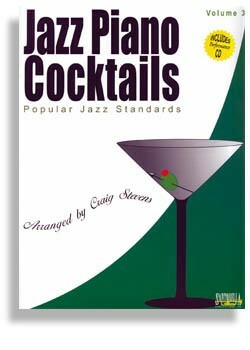 Jazz Cocktails published by Santorella Publications is designed for the skilled pianist, who is able to read quite well, but is no Oscar Peterson when it comes to improvisation. 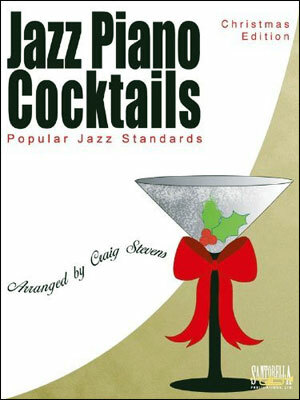 This series was created to assist a sound performer who has a cocktail gig and could use a few flashy arrangements to liven up the “teetotalin’ crowd”.This “first edition” contains forty eight pages of masterfully arranged jazz classics that will have you singing, tapping and dancing in no time. From the playful, “You Made Me Love You” to the sultry, “It Had to Be You”, these 13 fabulous jazz solos will help you establish a solid foundation on which to build your jazz repertoire. You'll not only love these books, but now you can play along. 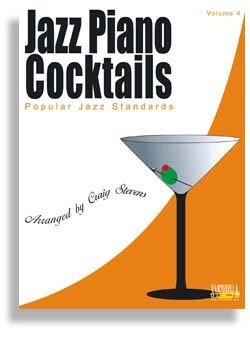 Every edition is also available with a performance CD recorded by the extremely talented, Craig Stevens. 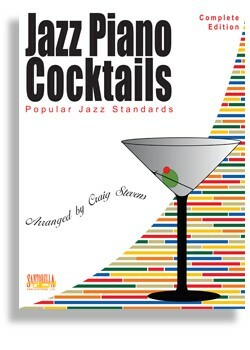 Since its initial release, Jazz Piano Cocktails from Santorella Publications has been selected by the respected NYSSMA Organization as a required audition text for all jazz piano students competing in the boundaries of that region as well as any other geographical sector which recognizes the integrity of this highly regarded NYSSMA Manual.